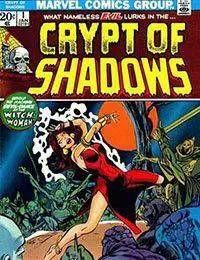 What nameless evil lurks in...the Crypt of Shadows!! A Marvel Comics horror series, with new and reprinted short stories full of horrifying events. It lasted for 21 issues.